Our children deserve the best! Keep their little heads warm and cozy with our specially designed double jersey beanie. 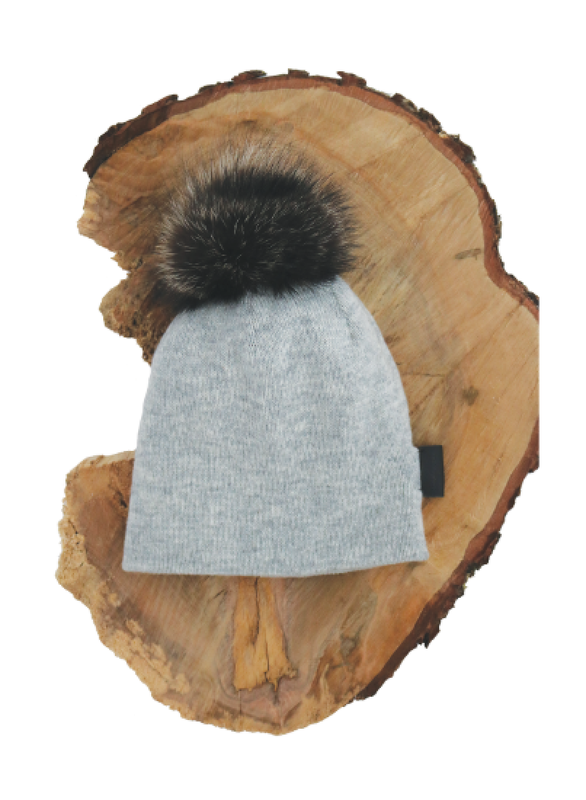 Our fur pom poms are fox, coyote, or raccoon from local sustainable hunters. Due to the characteristics of the fur no two pom poms are alike. Our soft cashmere/wool blend makes our beanies durable for any adventure. Jr. Beanies are recommended for newborns to toddlers.